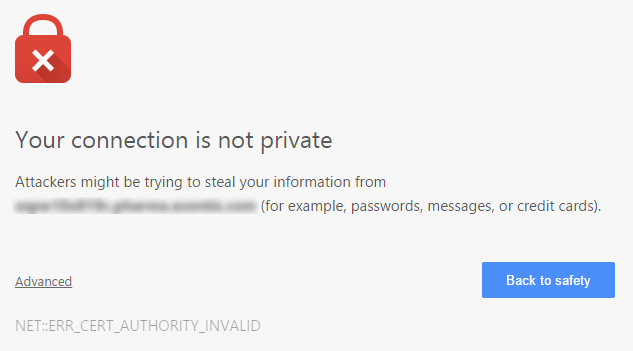 The reason for this message is that the vCenter installation by default uses a self-signed certificate for the SSL secured browser connection, and that your computer does not trust this certificate. To address this issue VMware recommends to replace the default certificates with custom certificates issued by your own internal PKI. In the past it was a bold venture to manually replace the certificates, but nowadays VMware supplies not only extensive documentation for this process but even a tool to automate it. Nevertheless, in my opinion it is still quite an effort to do this, because each vCenter component and all ESXi hosts use their own certificate and there are a lot of dependencies between them. Copy this file to your Windows client and rename it to something.cer. Right-click on it and choose Install certificate from the context menu to start the import wizard. In this wizard be sure to select Local Machine as the store location (you need admin permissions for this step) and place the certificate in the Trusted Root Certification Authorities store. That's it! Relaunch your prefered browser and the nasty message will be gone. in a command prompt that you run as administrator. In a Microsoft Active Directory environment you can also use Group Policies to automatically distribute the certificate to all Domain member machines. Your are probably on an older (than 5.5) version of vCenter. The two certificates that you found are for different purposes. The first one is used for vSphere legacy client and API connections to port 443. The second one is used for the Web Client. Try to import the rui.pfx file on your client computer. When asked for a password use "testpassword" (without the quotes). The only guide that helped!